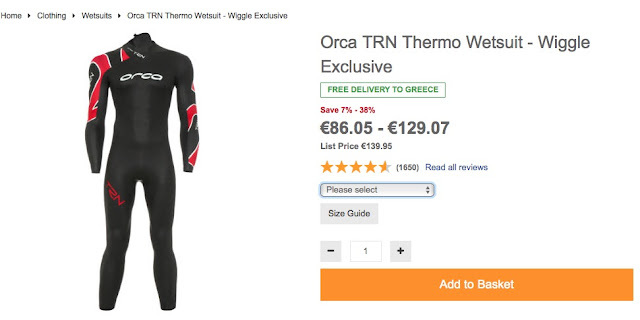 ORCA TRN wetsuit. One year of use. 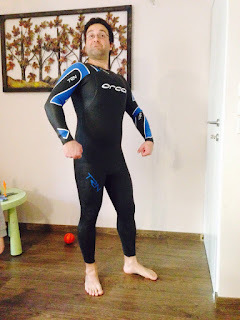 I use Orca TRN wetsuit for a year in all my triathlons. I bought it a from a friend in Thessaloniki, Michael Antonoglou who found it in sales in Wiggle eshop (link here)and decided to buy two. 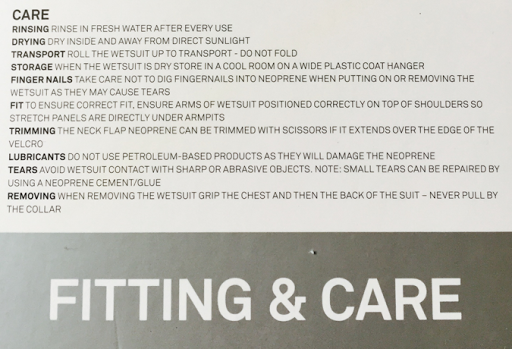 I was too lucky to ask him info about wetsuits while searching to purchase one and he spared me one of them in mint condition in his initial shipment bag. 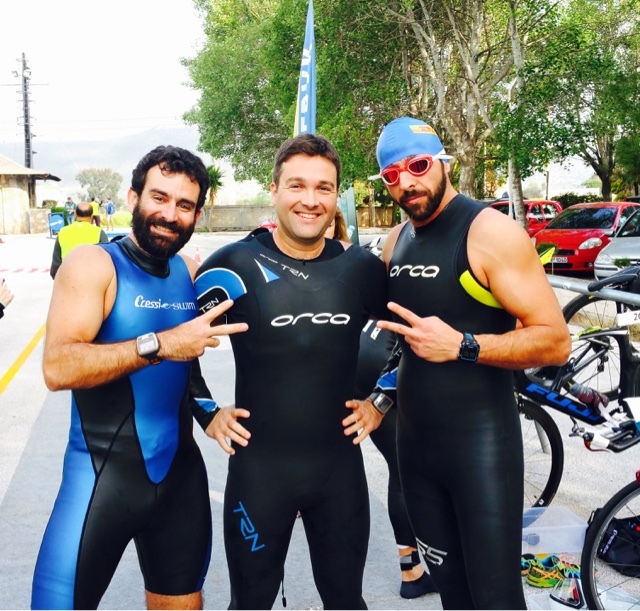 Since April of 2016 I have used it on three triathlons, Energy Semi Long triathlon in Schinias, AlmiraMan Half Iron triathlon in Paralia Katerinis next to mountain Olympus and Ocean Lava Rhodes Olympic triathlon last fall. 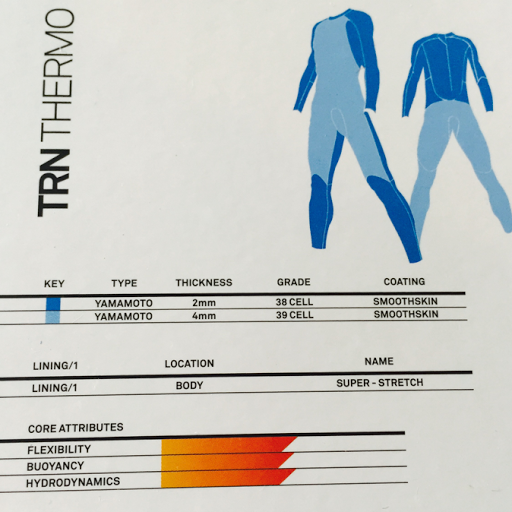 TRN Wetsuit is made out of two different level thickness fabrics, Yamamoto smooth skin Neoprene 2mm and 4mm. These are the Orca TRN specifications. Areas colored with light blue do have 2mm thickness and in dark blue do have 4mm. 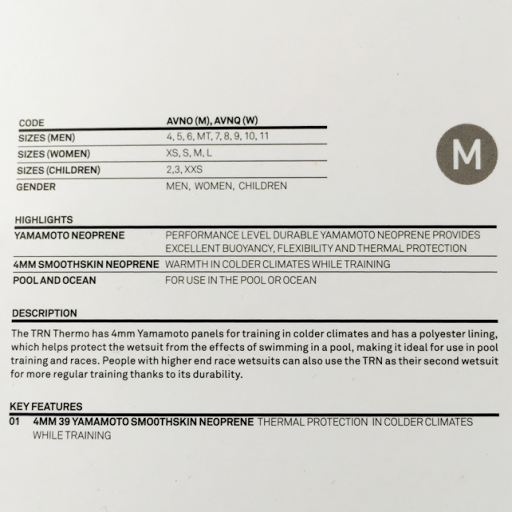 More details about available sizes and Yamamoto smooth skin neoprene fabric specifications. A. A stamp with simple maintenance instructions for those that don't keep their product manuals. HANG DRY. That means actually "Hang TO Dry"
And it goes on with more details : After use, rinse with clean fresh water, hang inside out in a cool dry place. Away from direct sunlight. Simple instructions. Can't go wrong with these, can you? 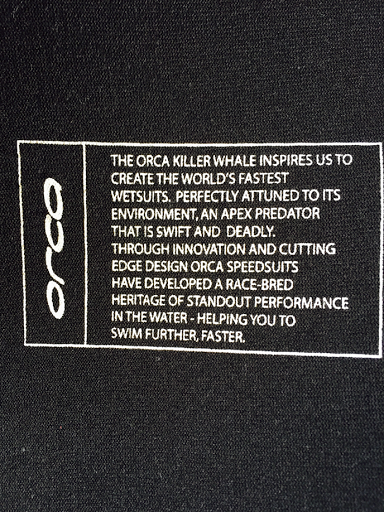 Orca's moto in a single paragraph : "The Orca killer whale inspires us to create the world's fastest wetsuits. Perfectly attuned to its environment, an apex predator that is swift and deadly. 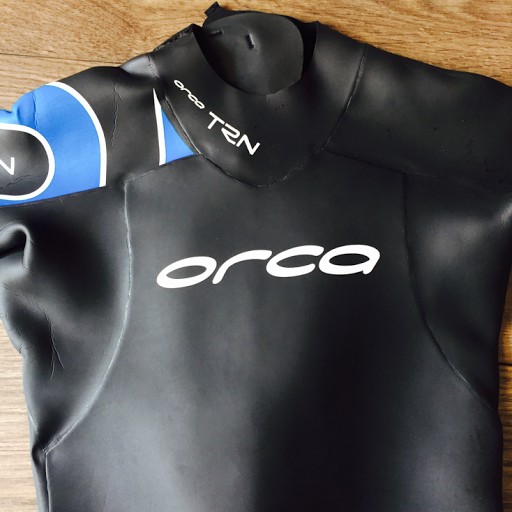 Through innovation and cutting edge design orca speed suits have developed a race-bred heritage of standout performance in the water - helping you to swim further, faster"
A nice name holder to write your name down with a permanent marker. 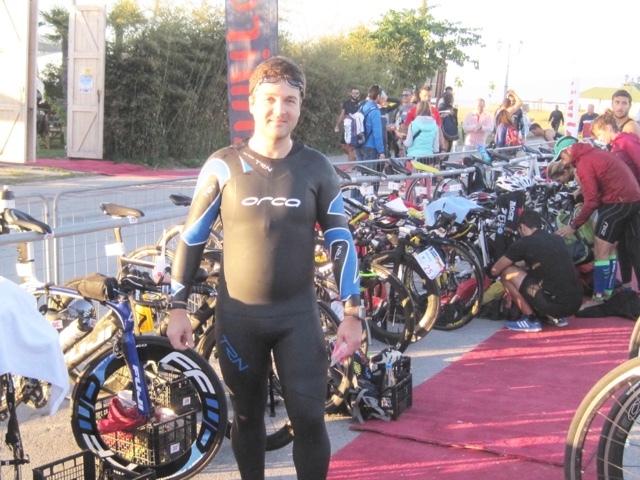 Who would want to mess up and get another guy's same seemingly wetsuit -but different size probably- that is left hanged in the rack just next to his bike at the end of a triathlon? 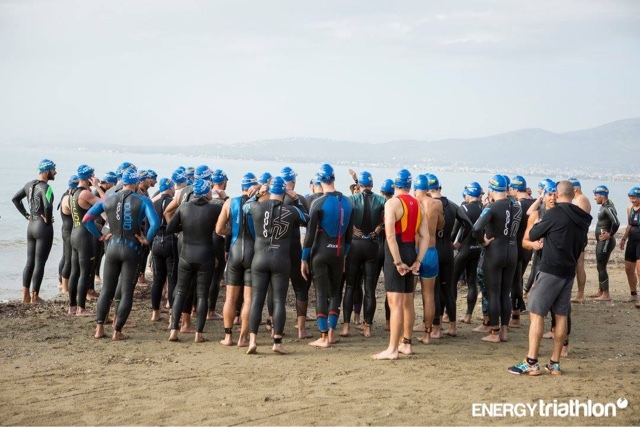 If the triathlon race is too crowdy the chances are getting higher as it is a commonly used item. A nice key lace to secure your car's key. And that alone solves the biggest problem that everyone has while swimming in open sea or a lake. 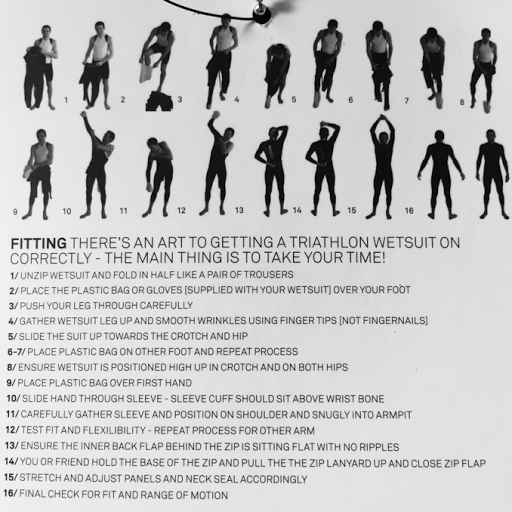 Who will care for stuff as long as they do their swim training on the water. No one really needs to do that actually. You get the simple car key (the one that does not have remote control, battery or any kind of electronics) and you do a simple loop as I am showing on the picture below. If your car's key is newer and has electronics search for an waterproof key holder on Ebay or any other sports store to keep it safe from water. Front chest area of Orca TRN. The chest area has a different degree of thickness than in the sleeves and under the armpit. And this is designed so that you move easier your arms and minimise friction. This is the front side of Orca TRN. The latest models 2016 and later are replaced with green but same design. 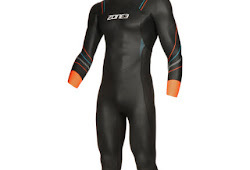 Didn't see that coming as it was my first wetsuit but there is a set of gloves included. 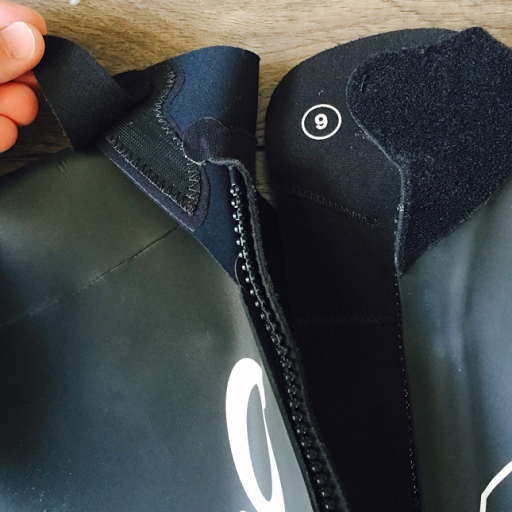 Wetsuit Gloves are used in order to protect neoprene material from our nails while pulling on the wetsuit. 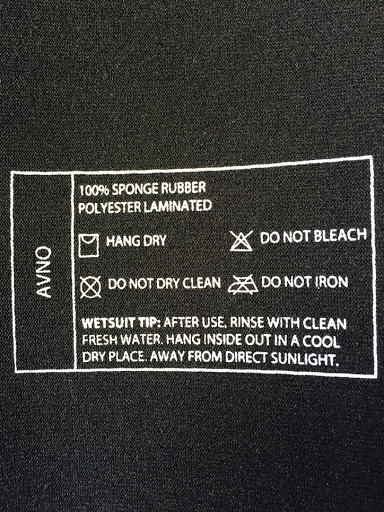 Along with the wetsuit comes a small printed label with all steps and a description of it on how to put on the wetsuit. 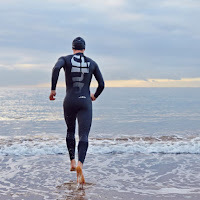 I've been really busy using the wetsuit in open sea swim training and triathlons. Haven't thought of using it in our local pool as I won't stand swimming in an already heated swimming pool. After all that use it is still in great condition as it was in the first days. No wear signs yet. First of all, wearing the uniform in the water you feel the extra buoyancy lifting you up. Its kind of extra passive safety for not good swimmers. Say you grab a cramp or get tired, you can stay calm and get a rest without struggling to stay on surface. 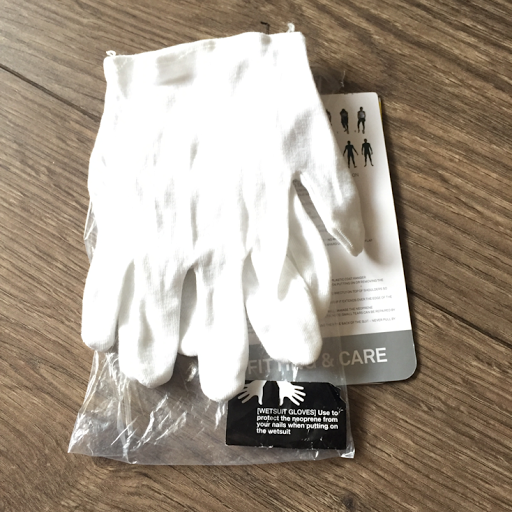 (Of course it is not a rescue item in any way but it will help you catch your breath, get a quick rest, and while doing so, get away of hypothermia. 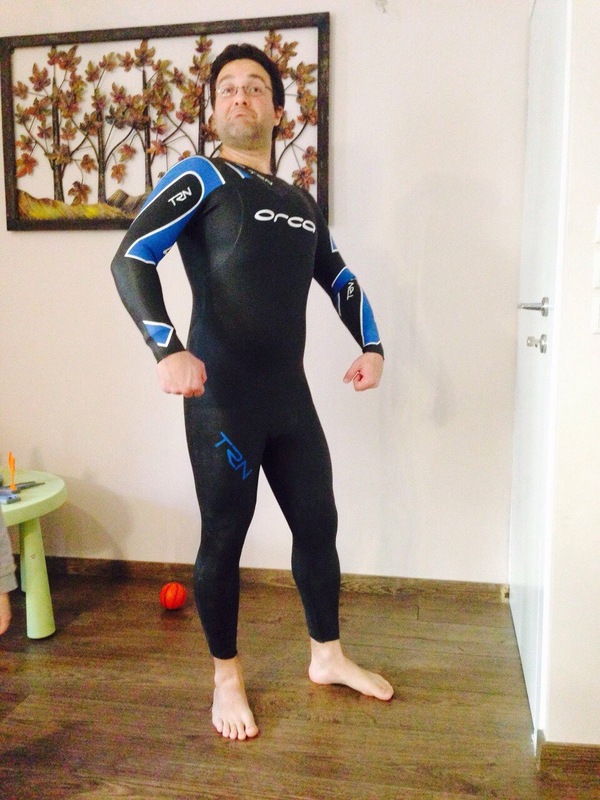 Had to try it for myself to believe it but it is not a big secret that a wetsuit makes you swim faster with the same effort. 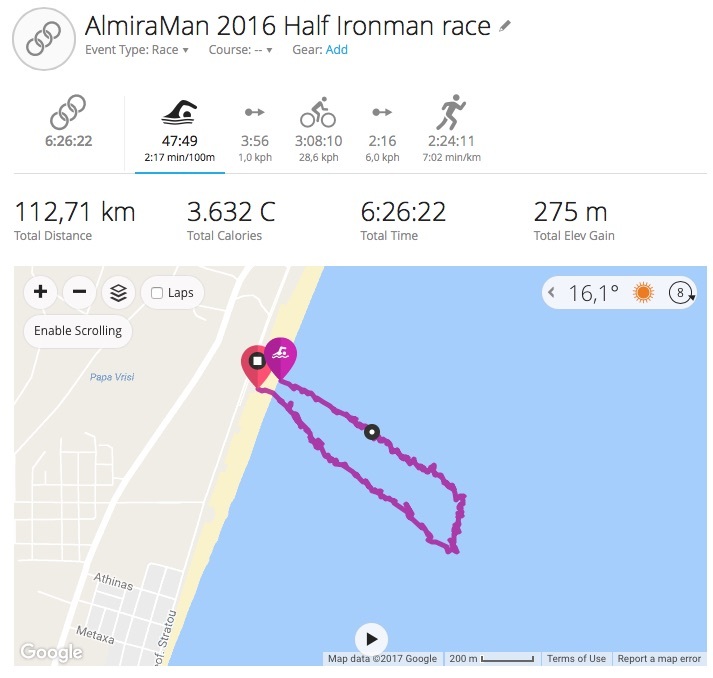 A year ago I trained for a Half Iron triathlon race, Almiraman. Without having done much practice in swimming with I raced half a minute faster per 100m than I did in my workouts at the swimming pool. There are two print screens from the half iron AlmiraMan performance last year. 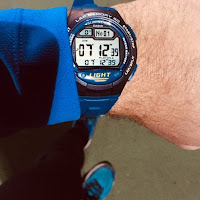 My Garming 310t watch that I was using that time, recorded 2092m of swimming and this is a pace of 2:17min /100m. 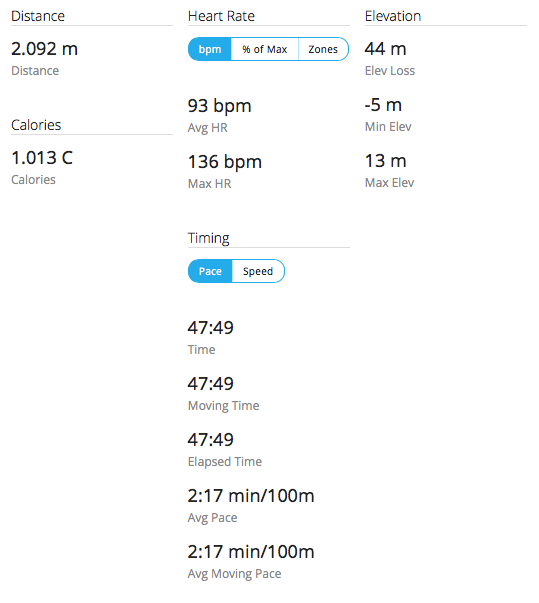 As I am not that sure that GPS recording is accurate due to all that zigzag that added about 200m, I guess that it is safer to calculate a race pace of 02:30min/100m for the actual 1900 meters of the swimming leg. And that was WAY faster than my usual swimming training pace in the pool that was between 02:50 and 03: 00min/100m. 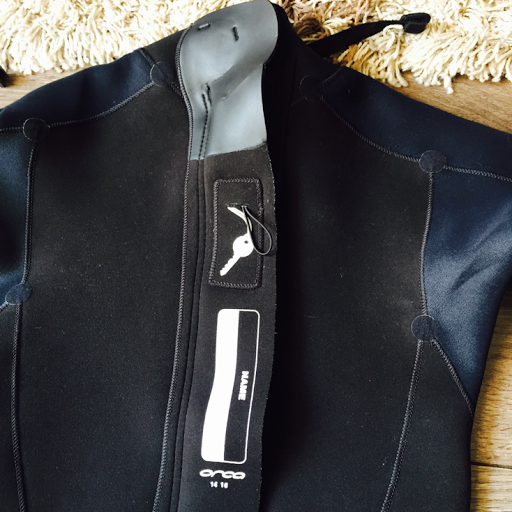 Personally I would recommend this model to any friends that need an entry level Wetsuit without spending a little fortune. Economic, quality, swimming performance, ease of use, brand name all in a very good harmony in favor of the athlete. 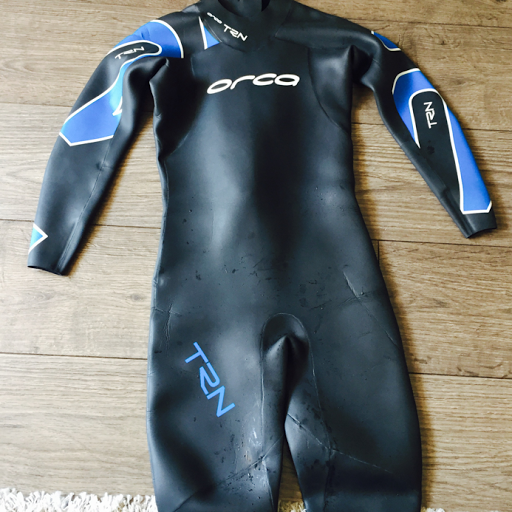 As an entry level full body wetsuit it is what I do call Value for Money.